I'm sure some authors are already aware of the insanity surrounding Faleena Hopkins and her claim to the word “cocky.” The whole debacle has brought the entire idea of branding to the forefront of my mind, so I thought I’d tackle it in today’s post. Faleena Hopkins is an indie author who writes romance novels. She has a series about the “Cocker®️ brothers” called “The Cocky®️ Series,” in which each book has the word “cocky®️” in the title. Building her brand around this series, she registered a trademark for the word “cocky®️” in relation to romance novels. I have no qualms about establishing a brand and protection your intellectual property. However, Miss Hopkins has threatened lawsuits against other authors who’ve used the word “cocky®️” in their romance works, even if they were published before her first cocky®️ novel. Not one to believe internet gossip (or any rumors, really), I wanted to verify the facts. I was able to pull up the trademark through the US Patent office and see that the word “cocky” was indeed protected in the space of romance novels. Other authors have shared schemes on how to get back at Miss Hopkins for her poor attitude as well as her threats against fellow writers. Part of me really wants to write up and release a sci-fi short story with “cocky®️” in the title. However, I’m not going to expend a bunch of time and energy on a joke. Ok, maybe a little effort. But I don’t want to focus on petty revenge or immature retaliation. I’d like to focus on brand. 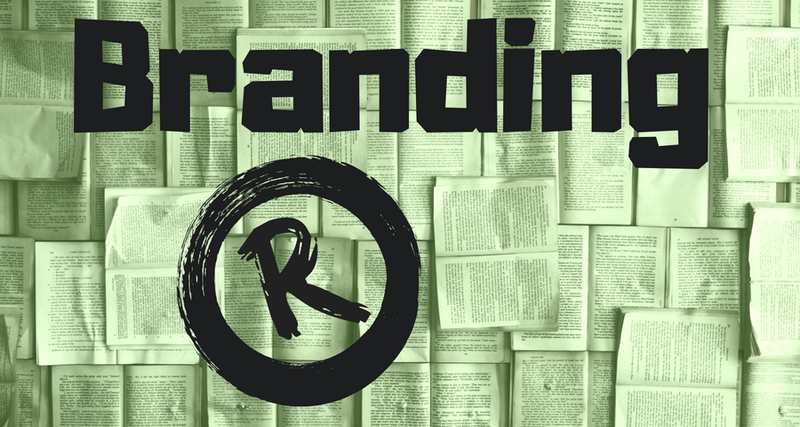 The idea behind branding is that when customers see an item for sale, they’ll recognize which company produced it by the colors, fonts, style, etc. of the packaging. The minimalist style of store-brand canned veggies communicates that they’re more affordable. Earth-tone colors used for bottles of baby shampoo let consumers know that the product is organic or environmentally conscientious. The majority of an author’s brand is represented through their books’ covers. This can be things like similar fonts, art style, layout, color palette, etc. among all of their books. Generally, the publisher has full control of book covers, so indie authors get full control of the branding of their covers, or lack thereof. 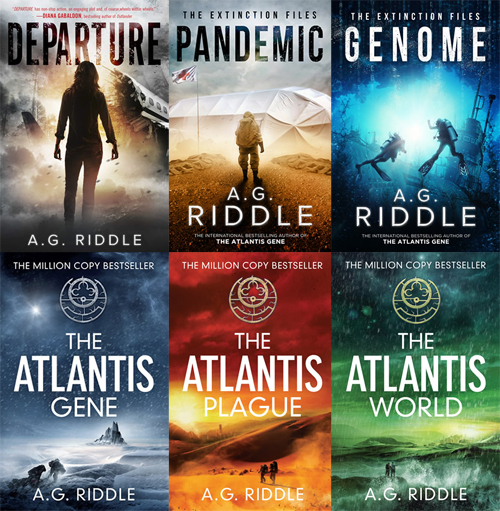 An excellent example of well-branded book covers would be all the novels by A. G. Riddle. The titles are all in the same font, his name has another consistent font and is always white and placed at the bottom, and the art is well-done photo-manipulation with limited colors. Furthermore, each series has specific branding with matching layouts. Since lots of books are sold online, authors can also use their web presence to build their brand. Making a website and social media accounts somehow cohesive might sound challenging at first, but there are definitely a few simple things that can tie them all together. One thing I do is use the same profile picture for all of my social media. I’ve also picked a color palette for my website and reuse the colors where I can (i.e. I use the deep purple from here for my Twitter theme color). For images I post, I try to use similar backgrounds, subject matter, and filters, adding my website on the bottom. What it really comes down to in developing an author brand is deciding how you want to represent yourself and building up from there. For myself, that means I want to let people know that I’m fun, serious about writing, and firmly planted in the sci-fi genre. The first time anyone asked me about my brand was when Kathy Meis with Bublish.com was helping me set up my website and social media before the launch of The End of Refuge. It wasn’t really something I had considered. I figured that my brand was just the book I had written, and plastering the cover everywhere would be sufficient. I still think it looks lovely. A subtle gray damask background, a beautiful script header font, punches of deep magenta, fluffy posts consisting mostly of life updates, and absolutely no images. It’s absolutely perfect for an aspiring writer of Victorian romance, but I was about to publish a dystopian novel set in a bomb shelter. I replaced the damask with a star-scape which says science, picked a new color palette that was attention-grabbing and fun, experimented with using images, and stuck to simple, readable fonts. Similarly, I’ve made the choice to go with book covers which have moody images, saturated colors, black backgrounds, and light-colored text. My name is always in the same font. 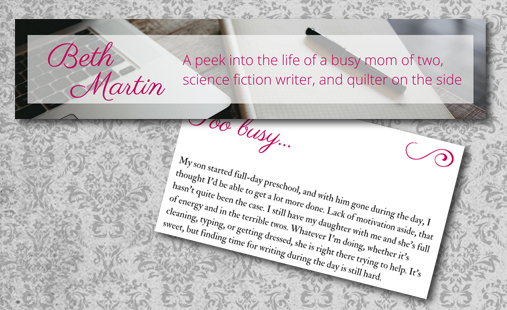 The backs of the paperback covers are all the same layout with a blurb, my bio, the same picture of me, and my publishing logo with my website. Overall, I’ve built a pretty strong brand, and I never felt the need to stake my claim and protect some part with a trademark. Both the cover and text of a novel are already covered by copyright, which seems like enough. I’m not saying I would never register a trademark—if I came up with an insanely popular character like Harry Potter®️, I would consider reserving their name. The ultimate goal of my brand is to help people recognize my work before they even read the byline, and when they pick up my books, they’ll know they’re in for an exciting and thrilling sci-fi story.